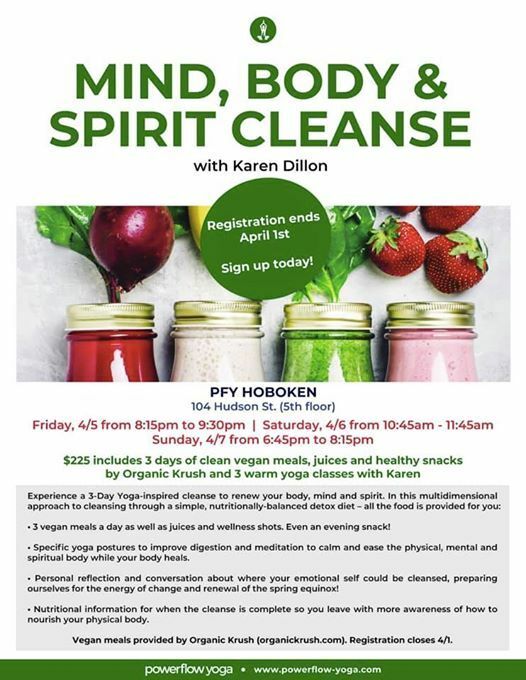 Experience a 3 Day Yoga-Inspired Cleanse to renew your body, mind, and spirit. 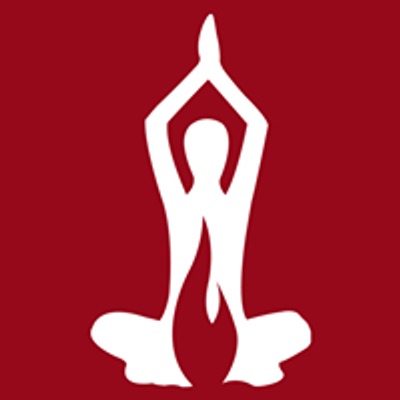 Class meets Fri., 4/5 8:15pm-9:30pm; Sat., 4/6 10:45am-11:45am; and Sun., 4/7 6:45pm-8:15pm. 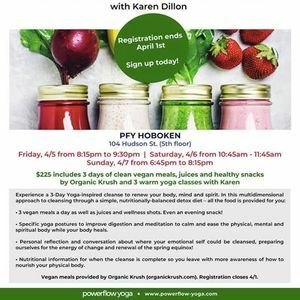 In this multidimensional approach to cleansing through a simple, nutritionally-balanced detox diet – all the food is provided for you: 3 vegan meals a day as well as juices and wellness shots. Even an evening snack! Specific yoga postures to improve digestion and meditation to calm and ease the physical, mental and spiritual body while your body heals. Personal reflection and conversation about where your emotional self could be cleansed. Nutritional information for when the cleanse is complete so you leave with more awareness of how to nourish your physical body. Vegan meals provided by Organic Krush https://organickrush.com.